It’s Vancouver Whitecaps first Friday night lights match of the new season this week and the Billy big boys of the MLS, LA Galaxy, are coming to town with their eight DPs. 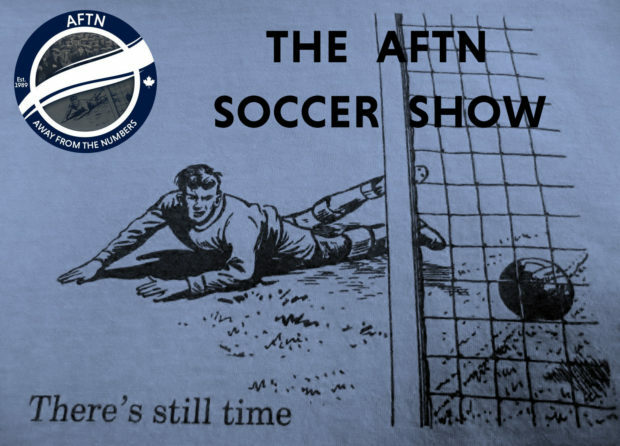 Joe, Nick, and Gideon are back with AFTN’s latest preview podcast as they look ahead to the match. Can the ‘Caps build on their first points of the season against yet another Western Conference rival? Can they contain Zlatan and avoid giving away any more penalties to him? And does Portland’s goal against LA last weekend give Vancouver quite a bit to work on in terms of getting through the Galaxy defence? All this and a lot more are discussed in a highly entertaining episode this week. LA head to Vancouver with a young striker called Zlatan Ibrahimović making some headlines around MLS. He’s only a second year player but he’s shown signs that he has what it takes to make it in the league. The lads discuss the Swede and debate whether he’ll turn ip, sorry, up. And it amongst all the chat, Do You Know Who I Am? returns, as does the prediction game, and see if you can pinpoint the moment in the episode when Gideon’s heart is broken. Have a listen!